Raufa has the gift of feeling energies. She is sensitive to the balance and imbalance of energy. 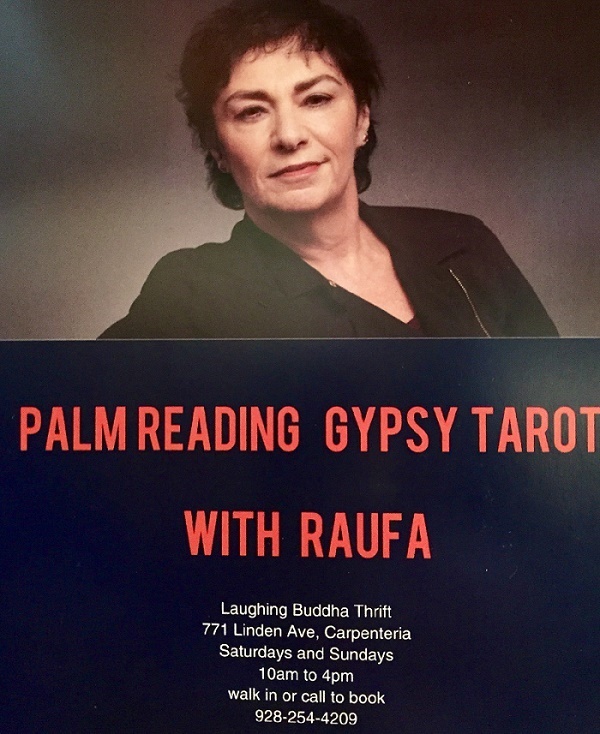 Raufa has been studying and practicing Feng Shui since 1996 as a way to restore harmony in living spaces. Raufa is the Feng Shui consultant to the world famous Mii Amo Spa in Sedona, AZ, including giving workshops there. Feng Shui elements are an effective tool that can transform any environment into a successful place of business or a temple of love. Applying Feng Shui tips, Raufa brings balance and harmony to home, office, relationships, and career. This encourages warmer relationships, better health, and successful finances. What qualities do I want this room to have for all the people who will be using it? If relaxation in your living room is your priority, then you want to pick calming Feng Shui colors like green, blue, off white or neutrals. If you need fresh energy or motivation, add some red. This is especially good when you come home depleted. Red energizes. Living in the city, it is good to have a healthy plant or two, or pictures of nature: something that makes you feel good. For Feng Shui colors in the bedroom choose calming colors. Avoid the use of red unless for an accent. Rule of thumb: keep electronics in the bedroom to a minimum. If you need to have exercise equipment in the bedroom, it is a good idea to place it behind a screen. The same is true for a desk. A bedroom that is just for sleeping is the most restful. Avoid skylights directly over the bed, and mirrors that reflect the bed. Mirrors that reflect only part of the bed are cutting or dividing the energy. A mirror might reflect most of the body but cut off the legs. This is not healthy. Sometimes the mirror shows only one of the people in bed. This is creating division. But don’t worry. There are Feng Shui cures for everything! Sleeping with your head at the wall facing north is the best position for the bed. Avoid pointing your feet towards the door of the bedroom. These suggestions are intended to create the most relaxing environment for the deepest sleep possible. Good Feng Shui for your home & business! Do you have negative habits or patterns standing in the way of living the life you want to live? Hypnosis can help you experience the freedom of living beyond patterns that might have felt fixed in place forever. 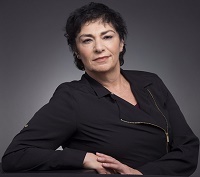 Raufa Magid is a Certified Hypnotherapist, Licensed Massage Therapist, Feng Shui Consultant and Master Intuitive Reader. She has been a therapist at the world famous Mii amo Spa in Sedona, Arizona for 14+ years. Consultations are private and confidential. Let Raufa’s experience and insight guide you towards a more fulfilled future. Hypnosis for Weight Management Really Works! With Hypnosis we can reprogram our minds to support us in creating healthy habits. We can create habits that give us a body with our Ideal Weight and Shape. Post Hypnotic Suggestions are given in each consultation such as you are starting to think like a thinner person, you are more satisfied eating less food. You are eating the right amount of food to sustain your body in a healthy easy way. Research show that people using hypnosis for weight loss have the best results. You will receive a recording to hear over and over which will reprogram your mind to create healthy lifestyle habits. With the Hypnotherapy session, you will receive a recording. For best results, listen to the tape for at least twenty-one days in a row. YOU can be that person who QUITS. With each consultation, you receive a personalized taped which you can listen to again and again that will reprogram your mind to allow to be free from nicotine addiction. Wouldn’t you love to be free from craving cigarettes all day long? Wouldn’t you love to be free from the need to isolate yourself because you have to leave a building to smoke? Wouldn’t you love your clothes and breath and skin to smell fresh all day long? Wouldn’t you love to run up stairs or hike in nature and be free from getting out of breath? Wouldn’t you want to do all that you can to be living as long as possible with your loved ones? Do you need more reasons to quit smoking? More about Hypnosis with Raufa. Reiki a healing tradition from Japan. Reiki is Energy being passed from one person to another. Reiki enhances the energy flow in the physical and emotional body and creates the space for natural healing processes to occur. It is so relaxing and can be surprisingly releasing in a unique way. The light touch of Reiki is received very deeply into the physical body where injuries or pain may be preventing the physical touch of massage. This energy work speaks to the Body, Mind, and Heart. After a Reiki session one feels refreshed and renewed by this profound inner connection. This rare and unique experience opens the receiver to the subtle frequencies of Reiki Energy. A deeply cleansing process enables one to let go of old patterns, toxins in the physical body, and any energies that are ready to be released. Serene and the most refined body treatment, cranial sacral focuses on enabling a greater flow of the cerebrospinal fluid from the top of the head and all the way down the spine. Cranial Sacral bodywork creates the quietest space where one might feel like floating and weightlessness or a simple expansion. It is extremely beneficial to relieve stress from the body, for those suffering from headaches and lower back pain. What have you always wanted to know? Now is the time to ask. When you have a reading something is you is opening to a vaster way of seeing. Beginning with a hypnosis relaxation, you are guided into an exploration of past life memories that can reveal insights into what is happening in your life today. Hands and Feet contain millions of nerve endings related to all parts of the body. By stimulating these areas your whole body can be affected in the most profound way. Thai Reflexology utilizes ancient pressure points that revitalize, reduce stress, detoxify, and balance the whole energy flow.